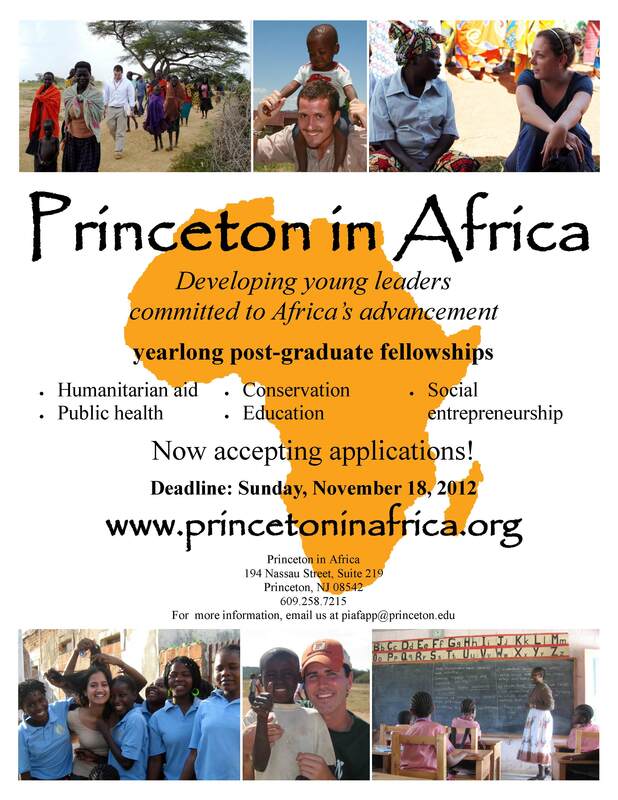 Princeton-in-Africa is currently recruiting candidates for its 2013-2014 fellowship year. The application is available here. While the organization was originally formed to provide opportunities for recent Princeton graduates, PiAF is now accepting applications from graduating seniors in the Class of 2013 and young alumni from any nonprofit college or university in the U.S. Fellowships are highly competitive, and fellows are placed in truly extraordinary opportunities across the continent. « Is free stuff bad for development?